Jo-Anne Fabrics and Waverly have an awesome contest for you! Head on over to Jo-Ann Fabric’s facebook page to enter today. Happy 90th Anniversary to Waverly! I was sent Waverly fabric to create my own Waverize It project and here is what I came up with: My kitchen is 50 years old and could use a much needed makeover. We plan on painting our wood paneling and cabinets white (think Young House Love) and this Waverly fabric is going to make it even better. So, I decided to waverize my kitchen with some curtains and accessories. 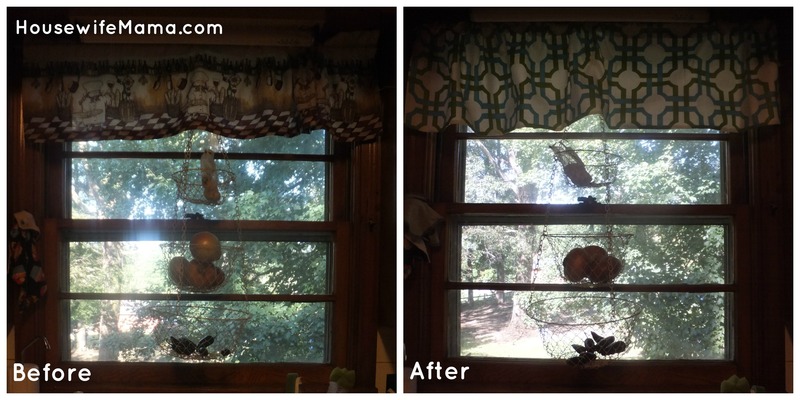 As you can see from my before pictures, the drab curtains I had already only made the kitchen look worse. My husband bought them for me when we moved in a couple of years ago (and had none) so I am thankful but happy to replace them. 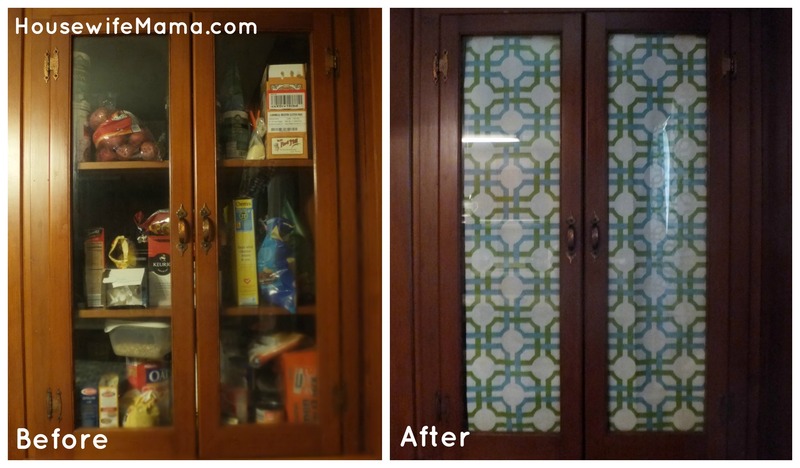 Our china cabinet turned pantry is always amuck and this was the perfect solution to hide that. 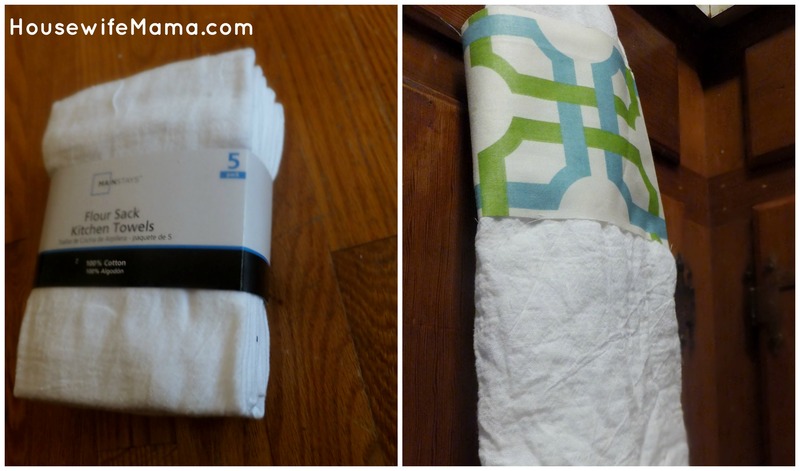 I also picked up some flour sack towels and enhanced them to make some matching kitchen towels. Don’t forget to enter the Waverize It! Contest! 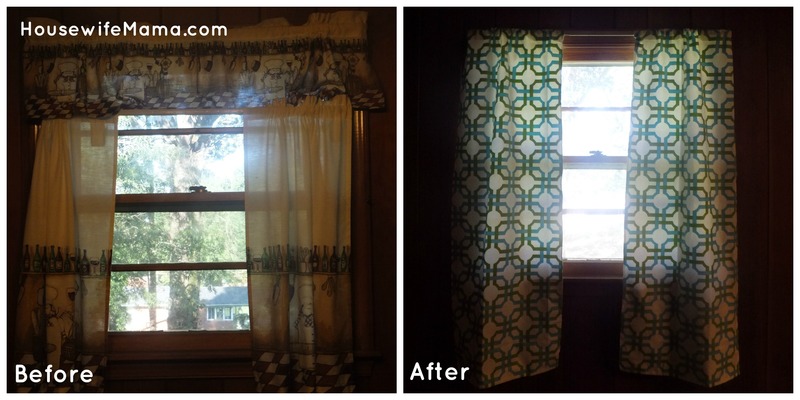 Nice job love the pattern, and pantry curtain brings color into the room. The addition to the white towels is very creative . I think you are a winner ! !